People have wanted to protect their property for as long as they knew they had property. One way this demand is met is through a lock and key. Some of the earliest iterations of the key date back almost 4,000 years. In “The Evolution of Everyday Objects” from Slate, it states, “One of the most sophisticated locks used in the ancient world was found in 1842 at Khorsabad—in what’s now Iraq—at the palace of the Assyrian king Sargon II, who ruled just before 700 B.C.” The article further goes on to say, while the locks offered protection, they were just as much a statement about one’s wealth. As time went by, these locks become more intricate. They were pieces of art in their own right, moving from keys made simply from crude metals to intricate devices such as the detector lock (a lock that made note of how many times it was used). Fast forward to the present, and these locks are mechanical safeguards against bandits looking to break into houses, cars, and gym lockers. Yes, gym lockers. Today locks have advanced even further. ANSI/BHMA A156.25-2018: Electrified Locking Devices is an American National Standard developed to help with these devices of the present and future. ANSI/BHMA A156.25-2018 covers numerous devices that fall under the umbrella of electrified locking devices. 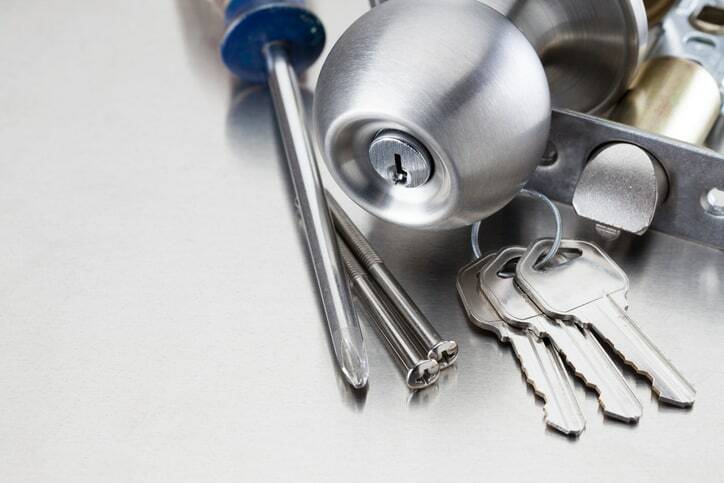 “Electrified locking devices include mortise locks, bored locks, preassembled locks, auxiliary locks, interconnected locks, exit devices, exit locks, cylinders, input devices and cabinet locks.” It’s important to note that the guidelines addressed in ANSI/BHMA A156.25-2018 are not intended to impede the growth of electrified locking devices. Instead, they are placed into the document to help assist with the safety and proper composition of electrified locking devices. Locks have been around for a long time, and they’re going to be around as long as people care to keep their personal items safe. Security and safety is paramount when it comes to these devices. Using the elliptical at the gym is painful enough without having to return to a locker to find belongings missing. ANSI/BHMA A156.25-2018: Electrified Locking Devices revises ANSI/BHMA A156.24-2013. ANSI/BHMA A156.25-2018: Electrified Locking Devices is available on the ANSI Webstore.